In the game of Pontoon, many decks of cards are used. In the online casinos the general rule of thumb is that eight decks of cards are used although if you learned this game when growing up, as I did, then probably 1 deck was all that was used. The game of Pontoon is much like the game of classic blackjack, but with a few changes in place which make it an entertaining card game. In the game of Pontoon, the best hand a player will achieve will be a hand which consists of a 10 value card and an Ace, similar to traditional blackjack but a face and an ace is the aim, not just 21. A winning hand for the dealer is automatically a hand in which the dealer ties or pushes. 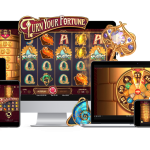 You can play Pontoon here one of the leading UK online casinos and well known for their football pool operations. The bet will take place and the dealer will deal the player two cards facing up. The dealer will get two cards dealt face down. If the dealer gets a pontoon, the hand is shown and the dealer wins. According to the rules of the game of Pontoon, the players will stick “stand” or twist “hit”. They will twist until one of two things happens. Either the player will end up with 5 cards or they will end up busting. 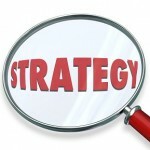 Once the player has reached a minimum of 15 points they will be able to decide whether or not they want to stick. The players can twist any time it is their turn, even after they use the buy option. Players will be able to take advantage of the buy option once per hand and they may buy on hands consisting of two to four cards. 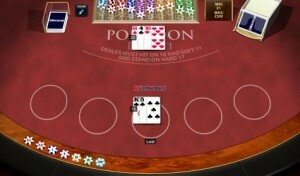 Once the players have finished with their turns, the dealer will reveal their hand. The dealer will twist until 17 or more points are in hand. They also twist on soft 17. Pontoon players are able to split their hand twice and this means the potential is there to have three pontoons in one round of playing. Splitting in pontoon has the same rules of splitting in the game of regular blackjack. 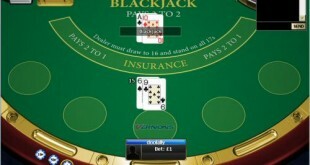 However, there are some differences between splitting in Pontoon and blackjack with regards to some of the rules. In Pontoon, when Aces are split, the hand may be able to be re-split and cause a double on the hand. Also, if a player ends up with a pontoon after Aces are split, it is paid out at the same odds of when a player gets a pontoon from a straight deal: 2 to 1.